The Kalal people have traditionally been involved in the production and distribution of liquor. Their name comes from the Sanskrit word for "liquor distillers." Since many Hindus look down on the use of alcohol, the Kalal began in the last century to adopt other professions like agriculture, the military, government service and law. The Kalal speak the languages of the regions where they live. Their three primary languages are Telugu, Kannada and Hindi. In Bangladesh, they mainly speak Bengali. They live mainly in India's southern states, but some live in Nepal or Bangladesh. The Kala are endogamous, that is, they marry within their community. Adult marriages and monogamy are the general practice. Families arrange most marriages in a ceremony with a Brahmin present. Most newly married couples live with or near the husband's family. Though they are Hindus, the Kalals eat meat but not beef or pork. Their main staple is rice along with fruit, vegetables and dairy products. Alcoholism is a problem among the Kalal people. The Kalal encourage their children to pursue higher education and become professionals. The Kalal worship Vishnu, the preserver god, in his incarnations of Rama and Krishna. The Kalal cremate their dead and the ashes are placed in a sacred river like the Ganges. A Kalal priest leads worship, practices traditional medicine and prays to protect his people from evil spirits. The Kalal celebrate the Hindu festivals like the birthday of Rama. Holi is the spring festival of colors. 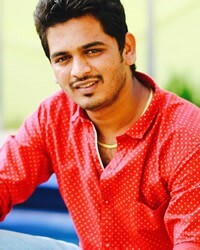 Kalal worship Durga, a form of Kali, during the nine holy days of Navratri. The Kalal people need to put their hope and trust in the finished work of Jesus Christ, the only one who can give them dignity in this life, and salvation in the life to come. * Pray for workers to go to the Kalal people in Bangladesh as well as those in India. * Pray for their hearts to be open and willing to accept the blessings of Jesus Christ. * Pray for the gospel to penetrate the hearts of Kalal family and community leaders, who can in turn open the door for their entire people group to follow the Lord. * Pray for Kalal disciples to make disciples who will make more disciples. 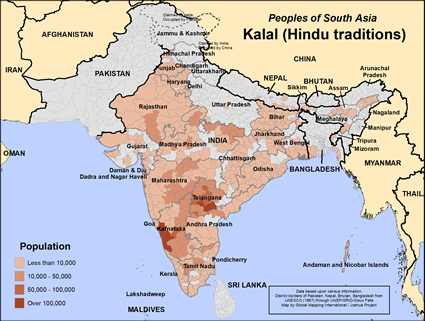 https://en.wikipedia.org/wiki/Kalwar_(caste)View Kalal (Hindu traditions) in all countries.